In prevalent design of rectangular reinforced concrete bunkers, seismic effect on the wall is usually ignored. The stored material including the container is usually considered as a rigid body whose mass is lumped to the supporting frame by a rigid link. The seismic force induced therein is considered in the frame while walls of the bunker are designed for static pressure only. 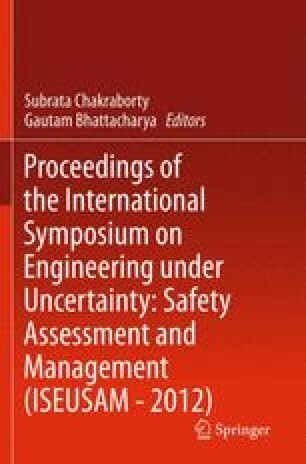 In this chapter, a method is proposed to estimate the dynamic pressures induced on the wall due to earthquake force, and when in the process, the dynamic amplification to the static pressure due to vibration of the frame is also induced in it. Finally, this pressure is utilized to determine the modal response of the bunker wall and estimate its coupled (wall + frame) response considering appropriate boundary condition.